Hopes&Fears answers questions with the help of people who know what they're talking about. Today we asked a doctor, a philosopher and a psychologist about death by will only. Can you cause your own death by the sheer power of your will? Is it possible to command your heart to stop beating? Without any physical act of suicide or deliberate starvation, can a human being die just because they wish to? While there is plenty of folklore surrounding this topic, the science is disputable. There is, however, something called the nocebo effect, which is the psychosomatic physical damage to a person involved in a clinical study who believes that something harmless (like a placebo sugar pill) can harm them. In one unfortunate drug trial, a subject swallowed 26 placebo antidepressants in order to commit suicide and his blood pressure dropped dangerously low. The patient survived. 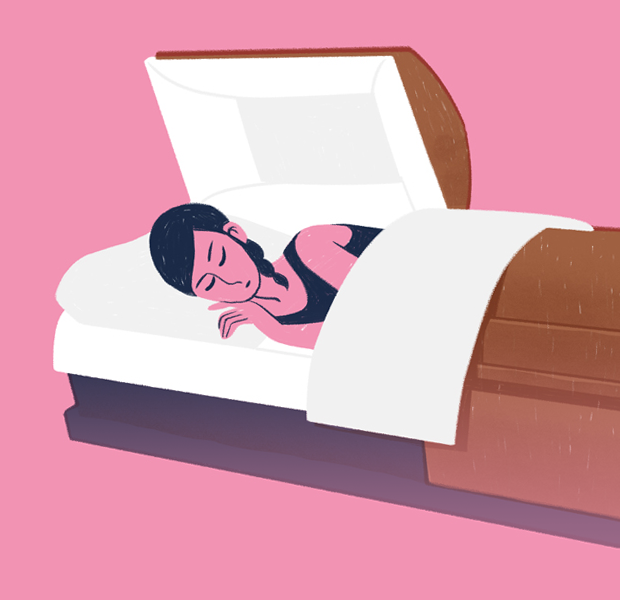 To explore the idea of expiring at will, we reached out to a neurologist with a background in exposing medical hoaxes, a philosopher and expert on death, and an author of books on psychology and spirituality. Let me see if I have your question right. You aren't asking whether you can (a) choose to die and (b) do something (or omit to do something) as a result (and as a means) that will quickly be fatal, such as jumping off of a building or opting not to take your heart medication. You are asking whether choosing to die is itself fatal, or perhaps whether choosing to die will be fatal if accompanied by the right state of mind, such as (perhaps) a strong and sincere desire to die. Well then, as far as I know choosing to die is not fatal. There are some physiological processes by which the body kills some of its cells. This is apoptosis. But I am not aware of any mechanism by which choosing to die will be fatal. Apoptosis is a process by which a cell destroys itself. It is cell suicide. (It is usually contrasted with necrosis, in which cells burst and spew their contents onto other cells. The cells of tissue that is damaged by a gunshot or knife wound would undergo necrosis.) In apoptosis, cells break themselves apart and the remnants are absorbed by the body. It can be triggered by the cell itself, when it is damaged or infected. It can also be triggered by external factors, such as the immune system. It is part of the process by which an organism maintains proper body mass, and also part of the process by which an organism shapes itself during development. For example, embryos shape their hands into fingers when the cells between their digits undergo apoptosis. I have never encountered actual cases of this. There are documented instances of patients who fall into a deep depression while they're experiencing other serious illnesses. They feel as if they are going to die, and eventually they do, but it is difficult to determine how this is related. It's usually because they are in the final stages of their disease. They could potentially feel it coming. All life-threatening diseases have final stages: diseases of the heart, diseases of the lungs, any disease that affects life functions such as breathing and blood circulation, any advancing toxicity. Patients experience sings of imminent death, for example, increased exhaustion. They feel doomed. They are likely to die in the near future, but it is impossible to predict their exact date of death, even by their treating physician. This is a subjective definition. Sometimes a person is dying consciously, but sometimes the illness confuses consciousness and their experience of their condition. However, in the scientific community, there are no cases of people stopping a life function, like breathing or the beating of their heart, by their will alone. When people talk of yogis stopping their heart, for example, it is passed on as a verbal account. All these incidents happen outside of proper clinical trials. There is no way of knowing what actually happened. Human beings have more control over our physiological functioning that is generally believed. Our thoughts and attitudes have a strong effect on the health of our bodies. For example, it is well known that a strong sense of purpose has a powerful positive effect on physical health. The psychologist Viktor Frankl was convinced - based on his experiences in concentration camps during the Second World War - that a strong sense of purpose could keep people alive, and that the loss of purpose could lead to illness and death. Frankl believed that a “loss of hope” could lead to a person "giving up" and allowing themselves to die. So a person’s intention and will can certainly help to determine their survival or death. Frankl was convinced that a “loss of hope” could lead to depression and possibly even to death. There are many cases of people who are seriously ill, in the process of dying, who keep themselves alive in order to experience specific events - such as the marriage of a daughter, a final Christmas or a birthday. Once the event has passed, the person “allows’ themselves to die. In a different context, there are cases of Indian yogis who have developed a powerful control of their physiology, and are able to massively slow down their breath, heart rate and blood pressure and other physiological functions. These feats sound remarkable, but we’re all capable of doing something similar, at least to a lesser degree. This is what the process of “biofeedback” is about - learning to consciously change our physiological activity. The idea that we can “will” ourselves to die could be seen as an extension of that. In life-threatening and extreme situations, cognitive function becomes impaired. The first function to fail is goal-directed behavior. "Will-to-live" is an outdated concept. Why do some people in extreme situations, like being stranded in the desert or being taken hostage, perish unnecessarily? "Cognitive paralysis, resulting in complete inaction, is too common occurrence to be ignored and the case has been presented for the classic fight or flight response to be renamed fight, flight or freeze response." "Psychogenic death is a biological process that takes place as in natural death, but it is triggered at a premature stage in the person’s life when they are under duress." While a study by the International Journal of Yoga has shown that yoga practitioners with an average of 16 months of experience in yoga could reduce their heartbeat by 19.6 per minute using their techniques (and 22.2 beats per minute with breath regulations), the exact mechanisms underlying the change could not be identified. A 1962 New Scientist article suggests that these techniques involve a physiological trick, "the tensing the muscles of the abdomen and the chest" and "blood being squeezed out of these parts and the return of venous blood to the heart thereby reduced" which "has the effect of decreasing the output of blood from the heart so that it beats less forcibly".